Our organization is involved in manufacturing and supplying heavy duty low voltage . 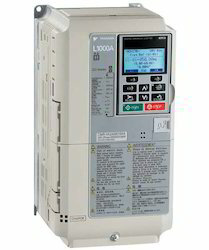 Yaskawa AC Drive. Manufactured at par with the latest technology, these AC drives are best suited to be used for controlling the speed of induction motor. Hence maximum productivity can be achieved at optimum consumption. Our range is an excellent option for conserving energy without any adverse effect on performance. 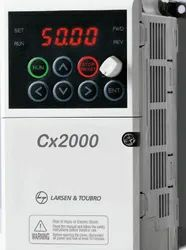 Our clients can avail low voltage ac drives at competitive price in various technical specifications. L&T AC adjustable frequency drives and inverters control the speed of ac induction motors in factory automation processes and industrial OEM machines. 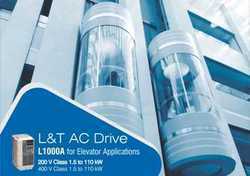 If you are looking for L&T Drives, please call us. We will do our best to help you find the Drives that you are looking for at the most competitive prices possible. 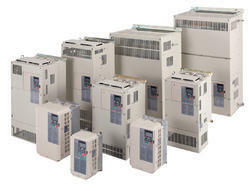 Yaskawa is the world's largest manufacturer of ac drives and motion control products, including adjustable frequency drives, servo amplifiers, servomotors, machine controllers, and motion controllers. Many protective features like torque limit, heat-sink overheat, current limiting DC bus fuse, motor overload protection, single phasing protection etc. 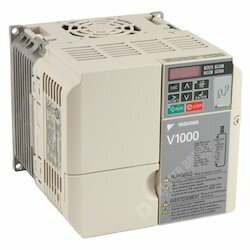 We are a leading name in the market involved in offering a wide range of Yaskawa Drive that provides frequency inverters, industrial ac drive, vfd, f7, v7, p7, g7,G5HHP, j7,a1000,j1000,v1000, adjustable speed inverter. Equipped with adjustable frequency drives, servo amplifiers, servomotors, machine controllers and motion controllers, these drives are manufactured at par with the set industry norms. It is helpful to control the speed of AC induction motors in factory automation processes and industrial machines. Our organization holds expertise in offering an extensive range of Variable Torque Drive along with Delta variable drive( VFD drives) and control for various application. Manufactured in tandem with the latest technological advancements, these drives ensures variable frequency inverters, industrial AC Drive, VFD, F7, V7, P7, G7, J7,A1000, J1000, V1000, adjustable speed inverter. Known for its accuracy in functionality, these drives can control the speed of ac induction motors in factory automation processes. Available with us is a wide range of Delta variable that can efficiently control motor speed, improve machine automation and save energy. Our range is basically designed using advanced machines to meet specific application needs of our clients. 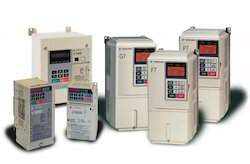 G7 The long time market leading general purpose drive. Sophisticated design allows trouble free operation in areas where other inverters fail. The G7 was the first inverter to use 3 level which minimises problems associated with long cable runs, and protects motor windings and bearings, prolonging motor life. Most products are in our stock! Please contact us. We will do our best to help you find the Inverter Drives that you are looking for at the most competitive prices possible. Our Servo Drive Repair Services ensure reliable performance of servo drives at client’s end. We are backed by trained and experienced technicians, who use sophisticated technology to evaluate, test and repair servo drives. Acknowledged for timely execution and reliability, our services are provided at industry leading price. Our workshops are staffed with professional service engineers, supported by the design experts in our manufacturing units and by our global service network. Our worldwide network of service workshops maintains high quality standards in motor and generator repairs. All motors are aligned and tested using only the highest quality lab equipment, OEM drives and power supplies. 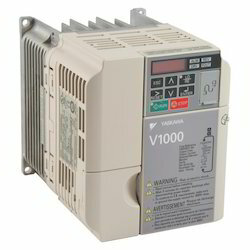 Yaskawa Drives Offer Variable Frequency Inverters, Industrial AC Drive, VFD, F7, V7, P7, G7, J7, A1000, J1000, V1000, Adjustable Speed Inverter. Yaskawa is the world’s largest manufacturer of ac drives and motion control products, including adjustable frequency drives, servo amplifiers, servomotors, machine controllers, and motion controllers. 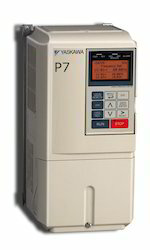 F7 Series is the most powerful and compact, energy saving, current vector control inverter. 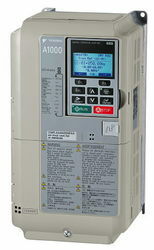 Characterized by a lot of flexibility, this is an optimum drive for any application. Star automation is one of the leading national supplier in india. We are the authorized service provider & system integrator for l&t yaskawa vfds, servo motors & servo drives. SGDB , sgdc, sgdf, sgdg legend, sgdh sigmaii, sgdk, sgdv sigma-5, sigma fsp, vs866, sgd, dr1, dr2, cpcr-mr, cimr-sba, cacr-sr, cacr-pr, cacr-ir, cacr-hr. Star automation is one of the leading industrial automation equipment supplier in India. 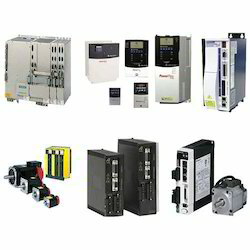 We are the authorized service provider & system integrator for L & T yaskawa VFD, servo motors & servo drives. SGDB, GSDC, SGDF, SGDG legend, SGDH sigmaii, SGDK, SGDV sigma-5, sigma FSP, VS866, SGD, DR1, DR2, CPCR-MR, CIMR-SBA, CACR-SR, CASR-PR, CACR-IR, CACR-HR. 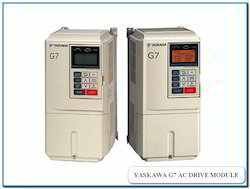 Looking for Yaskawa AC Drive ?